I planned to climb Mt. Elbrus soon after Denali hoping that my body would still be somewhat acclimatized to the high altitude, but it didn’t work as well as I hoped, and I still got quite sick. 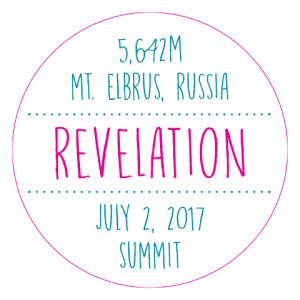 For Elbrus I chose to do a privately guided climb, which is a nice experience, because you and your guide can set your own pace, and when we arrived at the summit we had it all to ourselves. The mountain is actually part of a ski resort, so to acclimatize to the altitude, we would hike part way up the mountain with my snowboard, and then I could snowboard down. That was a unique experience to this mountain, and really exciting. I had hoped to be able to snowboard all the way down from the summit, but when we were making our way to the top, it was really early in the morning, and icy. My guide didn’t feel comfortable taking his skis up any higher, so I left my board as well, at about 5000m. I was still able to snowboard part-way down. 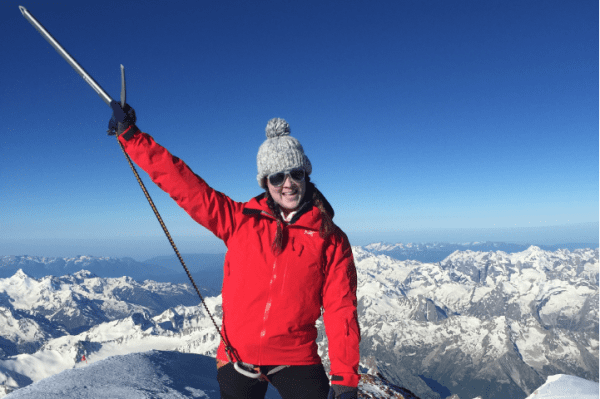 Being on the top of Europe, on your own, is awe-inspiring!